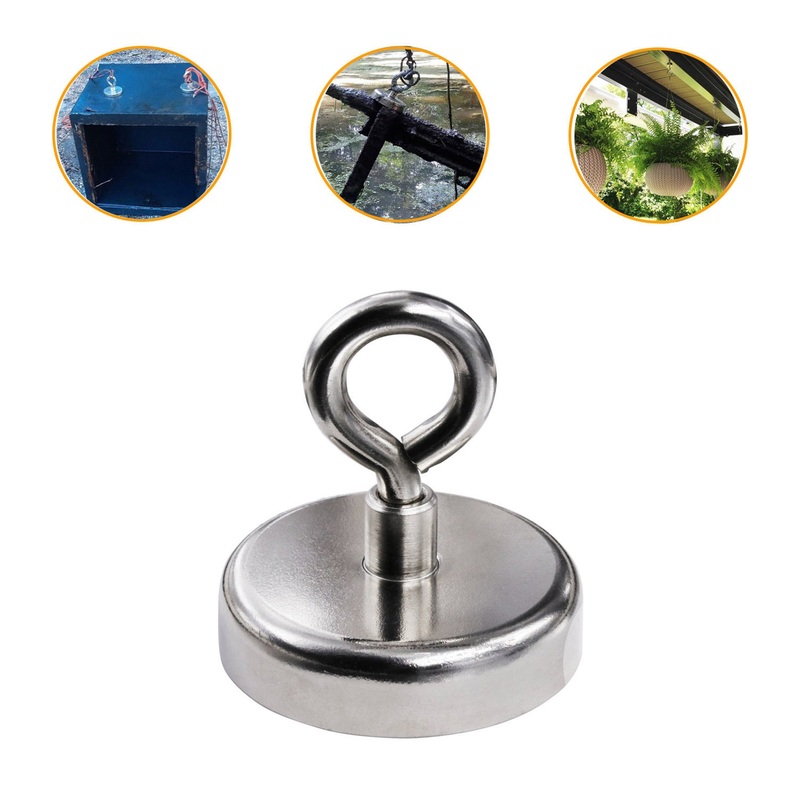 Fishing Magnet Super Strong Neodymium Round Thick Eyebolt Treasure Hunt. Have fun for river and lake magnet fishing on a vacation or family activities. Great for spending time with family exploring what can be found in rivers, lakes or anywhere else. Handy assembly for lifting, positioning, holding, retrieving and more. Salvage for various iron containing nickel material in river. This river or lake Fishing Magnet has 1200kg holding power. Fishing Magnet Super Strong Neodymium Round Thick Eyebolt Treasure Hunt. Have fun for river and lake magnet fishing on a vacation or family activities. Great for spending time with family exploring what can be found in rivers, lakes or anywhere else. Handy assembly for lifting, positioning, holding, retrieving and more. Salvage for various iron containing nickel material in river. 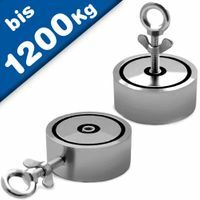 This river or lake Fishing Magnet has 1200kg holding power. 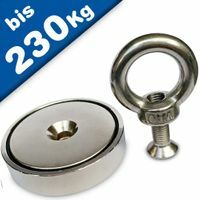 This neodymium round base magnet is made of a super strong neodymium magnet encased inside a chrome plated steel cup. The neodymium magnet is bonded inside of the cup with adhesives. At the same time, the steel cup also protects the magnet from being damaged when frequently used.